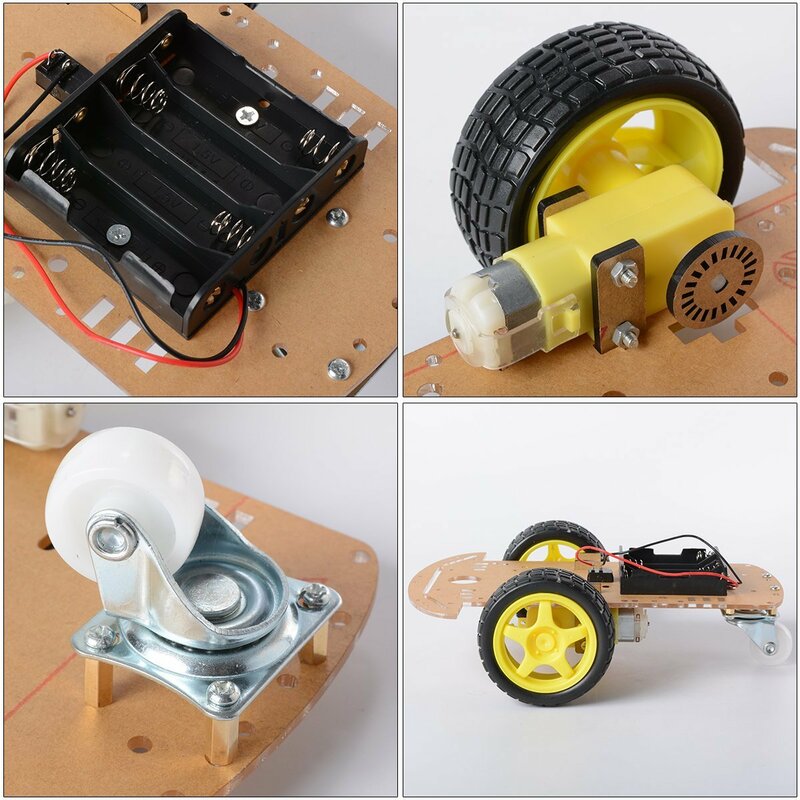 The main body of the chassis is made of Laser-Cut Clear-Acrylic sheet and can hold two gear motors on either side and a supporting universal Castor wheel. 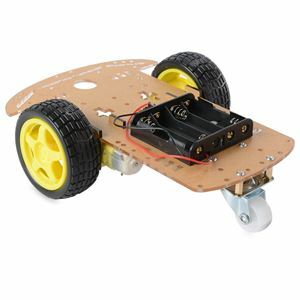 It also holds a compartment for four AA batteries (not included) with battery terminals that protrude through the chassis and can be accessed from the top. 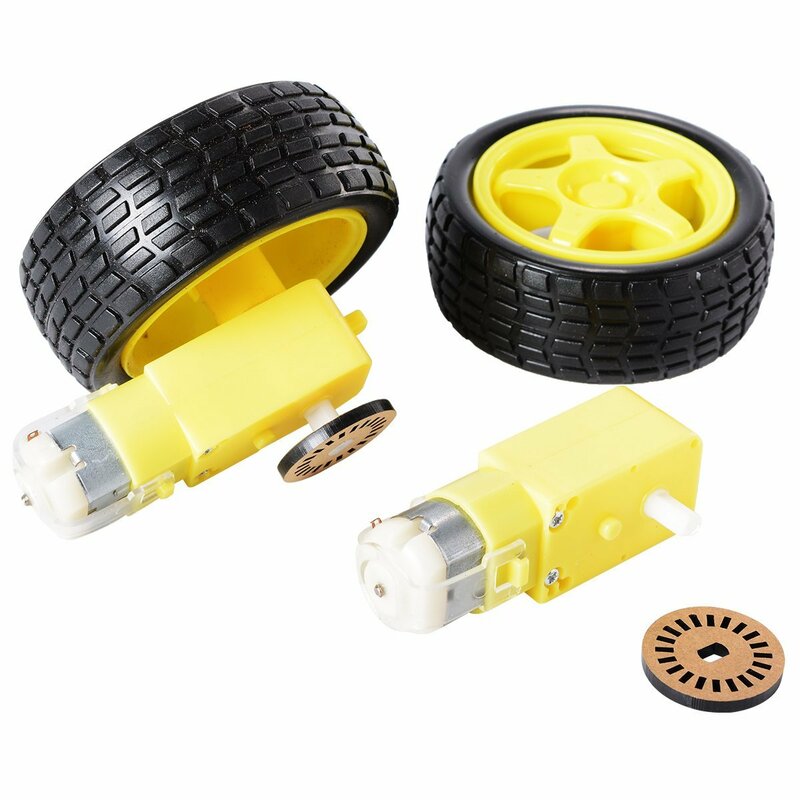 Each dual shaft motor has one side holding the wheel while the other is connected to an encoded disk. 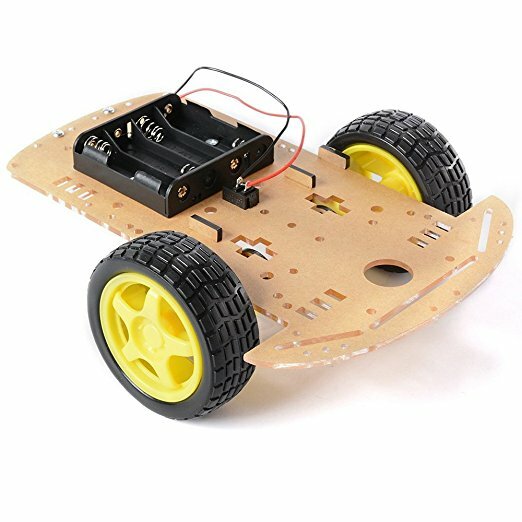 The chassis has enough holes and openings for mounting Sensors, Servo, Motor Drivers, and control modules. 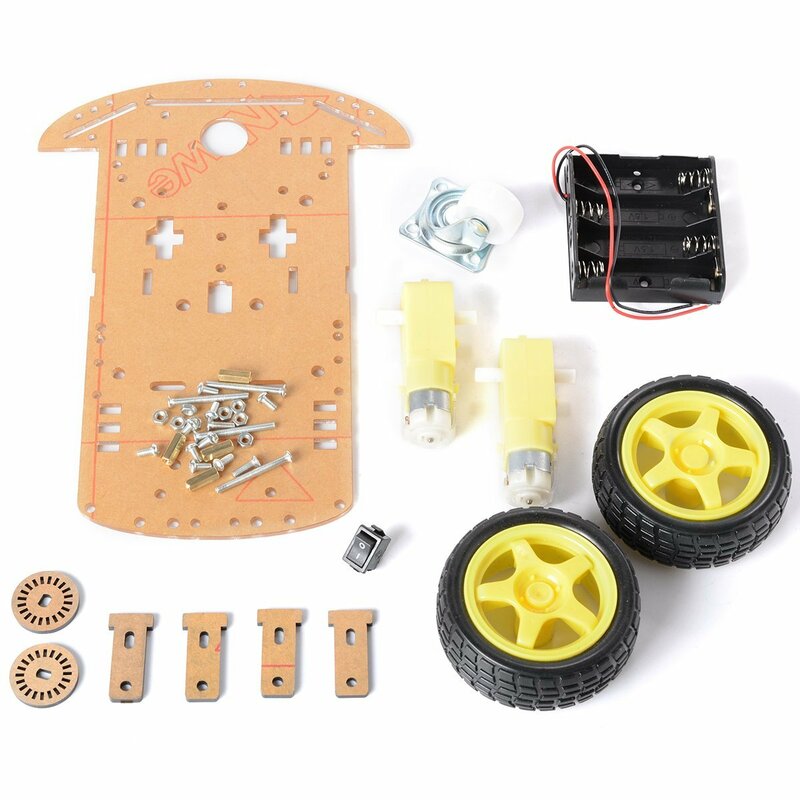 This kit can be used to build a robot for distance sensing, Obstacle Avoidance, Line follower, Flame Detector, Speed Tester, Wireless remote controlled Car, and any other creative works. This car comes with the tachometer encoder and with a 4 AA battery box. Gear Motor reduction radio: 1:48.